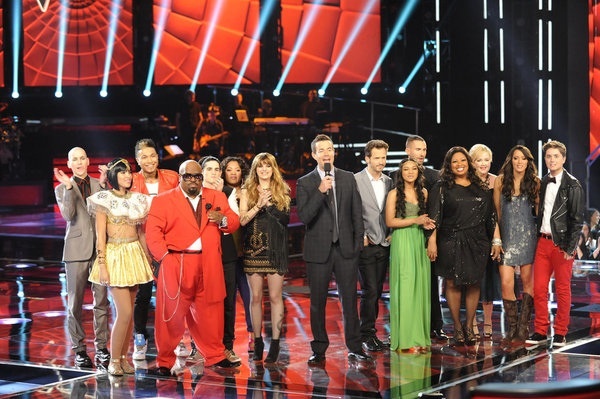 Last night the live shows on NBC's "The Voice," continued. Most notably were performances by Team Cee-Lo with Juliet Simms rendition of "Roxanne" being one of my favorite performances of the evening. Juliet exuded energy, excitement and multi-layers of vocal abilities. Some of my other favorites from the evening were Kim (Team Adam), James (Team Cee-Lo) and one of our initial favorites Mathai (Team Adam). One of my all-time favorite songs was performed by Tony Vincent "Everybody Wants To Rule The World," but I was not head over heels about his rendition. While I think he is talented, I do not feel it was his best performance. We love how The Voice has initiated the ability to vote via Facebook by the click of a button. YOU STILL HAVE TIME TO VOTE until 10 am EST this morning. You can call, text, click on Facebook or download the songs on itunes. Talk about options! There is no excuse not to vote. The Voice has even placed the video clips of the performances on Facebook in case you didn't see the show on TV. While we think Team Christina and Team Cee-Lo are strong contenders this year, we adore the presence and positive energy Mathai (Team Adam). Her voice is very unique and she is absolutely adorable. 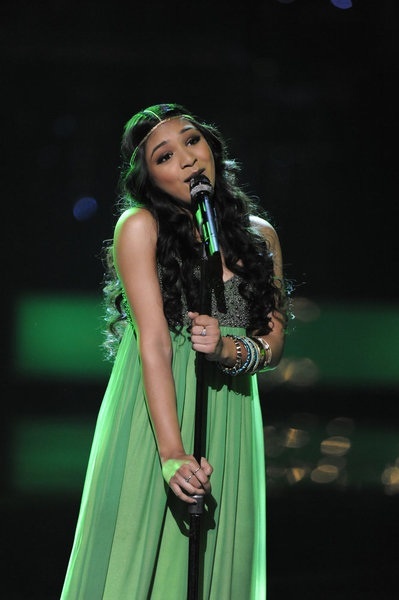 Some of the performers clearly sang songs which were not the best choice for their voice, especially at this point in the competition. However, if you have favorites, VOTE! Give them a change to come back! If you have not done so...be sure to vote and tune in tonight for the results show on NBC. Next week's live shows will be cut throat! Nothing but the best will be left. Make sure your favorites make it. Don't leave it to someone else to vote.